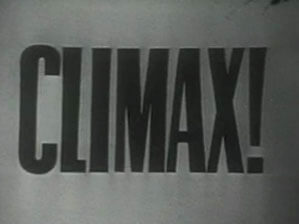 Classic Season 1 Episode of CBS’s live CLIMAX! drama program. This is an adaptation of Robert Louis Stevenson’s “The Strange Case of Dr Jekyll and Mr Hyde”. Hosted by Bill Lundigan, this episode was originally aired on 28 July 1955 (Season 1 Episode 34). The story was adapted for television by Gore Vidal.